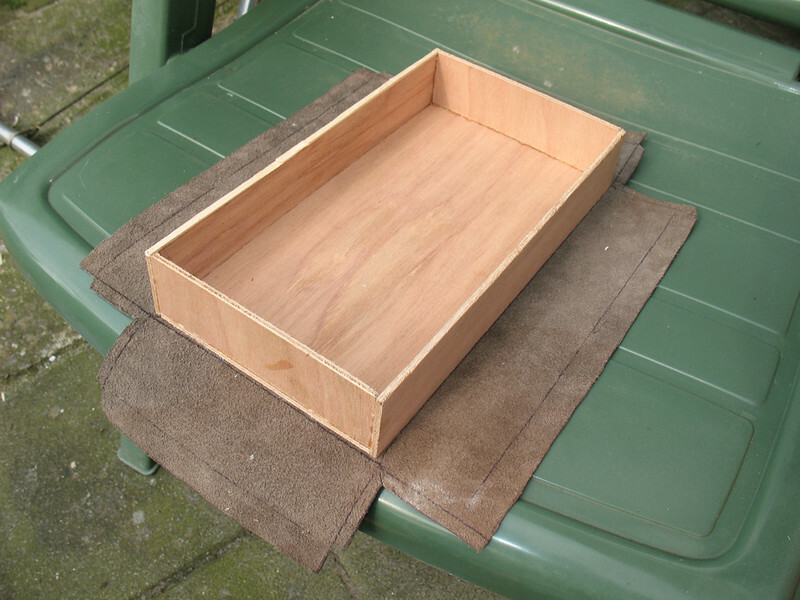 Same thing as when I made the leather case, this time a bit more simple. Glued pieces of wood together and stuck the box on an old piece of leather (from a couch). 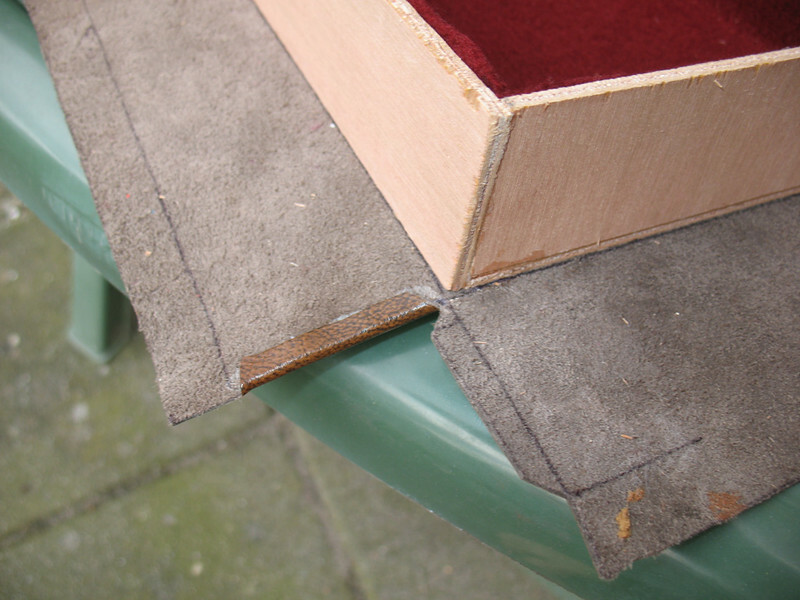 Cut the leather to fit the sides and stuck velt on the inside of the box. 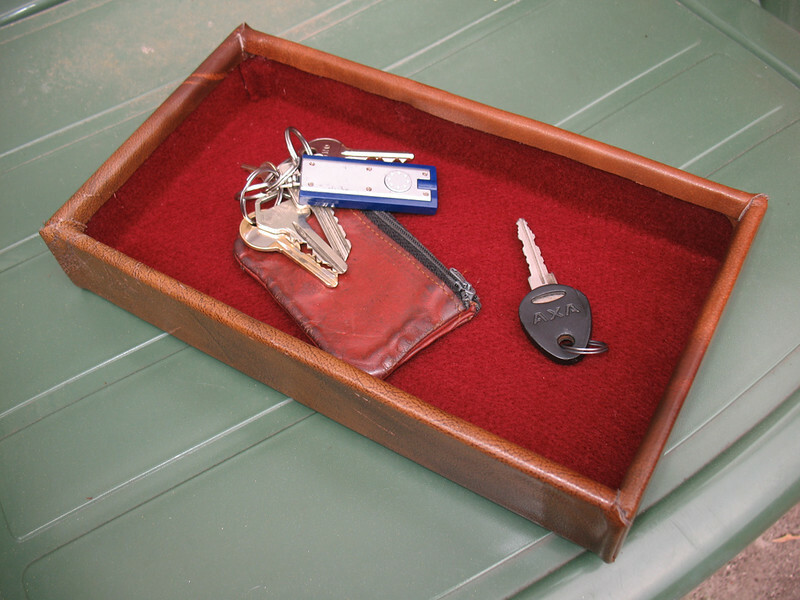 Now I can throw my keys in here whitout them scratching any furniture.